The immense level of news being generated by Tiger Woods this week is in direct proportion to the size of his personal brand. Tiger’s brand is huge. The very reason for the hype over Tiger’s indiscretions is the same reason why he will survive this less than ideal public airing of his private life – he simply has vast amounts of brand equity to draw on. Tiger is a freak when it comes to golf. But it is more than sheer natural talent that makes him great. He is an absolute professional who leaves no stone unturned to perform at the highest level. He amazes his competitors with the level of preparation he puts in to a tournament, he has played every shot in his head before he even starts a round. He is successful, good looking and from all reports a very likeable person. Importantly, the crowds love him and that is precisely the brand equity he can now draw on. If he sincerely shows some remorse, tackles the matter head on and does it all with the same degree of understated humility he typically displays, the crowds will continue to love him. From a sponsor’s perspective, it is less than ideal, but it will not be a deal breaker. They will be confident that Tiger will manage his way through this hick-up with the same professionalism that attracted them to him in the first place. Even if they have any doubts they only have to look to other sportsmen who have come out the other end with their brand equity a little battered, but essentially in tact. Think Shane Warne and David Beckham, both big brands that have survived some interesting dalliances with women over the years. The other reason why Tiger Woods will come through this episode retaining his major sponsors, is that as soon as one cuts him free, there will be another queuing to fill their place. Tiger’s brand is simply too strong to give a competitor a leg up by giving them access to such a hot property. My advice to sponsors is get behind Tiger and openly support him, make him feel part of your family and by doing so frame your relationship with him in a more authentic and personal manner. Finally, my advice to any celebrity out there hell bent on having an affair, make sure you have one with someone who stands to lose as much as you do if it becomes public. In fact that might not be such a bad clause to write into future sponsorship agreements, it would certainly reduce the number of ‘tell-it-all’ stories being sold to the media. Agreed, and especially on one point; as soon as one sponsor bows out, another will quickly fill the spot. As mentioned, Tiger epitomizes professionalism, so will come out of this largely intact, as he’s too much of a sporting phenomenon to be sunk by this. 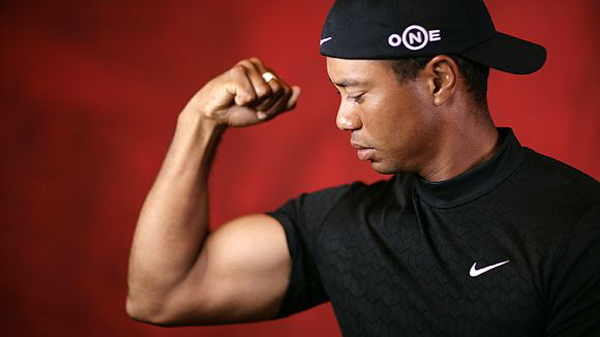 As for Tiger personally, his level of concern will be obvious with his next tournament.